Watford Riverwell recently celebrated the start of construction works at Woodlands, delivering the project’s first new homes. Elected Mayor of Watford, Baroness Dorothy Thornhill and Andrew Storey, Senior Development Director from Kier Property were joined by senior representatives from Watford Riverwell’s other project partners including Jarvis Contracting, Watford Community Housing, Mayfield Villages and West Herts Hospitals NHS Trust to mark the occasion at a breaking-ground event. 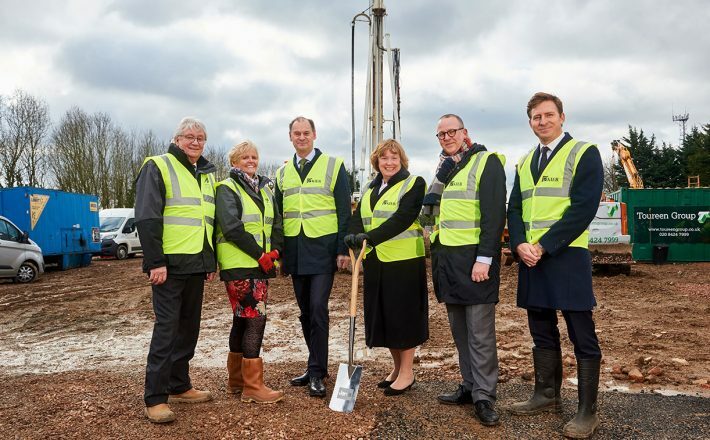 Speaking at the event, Elected Mayor of Watford Baroness Thornhill said: “It has taken a lot of hard work and determination to get to this day and I am absolutely delighted that we are now ready to start work on the first new homes at Riverwell. 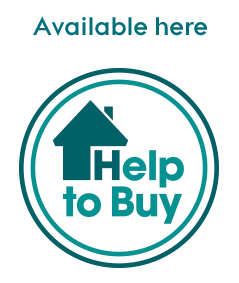 “We know how badly needed these homes are for Watford – especially the affordable ones. I am also pleased that the Riverwell team has taken time to get the design right and ensure they are good quality homes, which will look fantastic in this woodland setting. Woodlands comprises 95 new homes that will offer well-designed, modern apartment living in landscaped grounds. 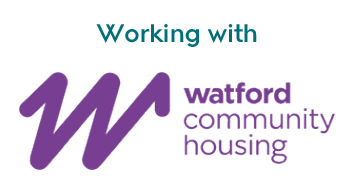 This includes 29 affordable homes, which will be owned and managed by Watford Community Housing. Jarvis Contracting has been awarded the contract to deliver Woodlands and the sales launch for the private apartments is anticipated for Spring 2018 with apartments ready to move into in Spring 2019. Watford Riverwell is an ambitious long-term regeneration scheme which will be completed over a 10 to 15-year period and is the largest mixed-use regeneration project in Watford. It will provide much needed new homes, create up to 1,300 new jobs and regenerate derelict and contaminated former industrial land. In December 2017, Watford Riverwell submitted a planning application to Watford Borough Council for the second housing phase of development, known as Waterside, which will deliver 408 new homes, including a retirement village accommodating 250 property owners that will be delivered in partnership with Mayfield Villages, a specialist retirement village developer and operator. A decision on the application is expected in March 2018. Pictured above: Baroness Thornhill, Mayor of Watford, at the breaking ground ceremony for the start of construction works at Woodlands. From left to right: Gareth Lewis, Watford Community Housing; Hayley Turner, Watford Community Housing; Andrew Storey, Kier Property; Baroness Thornhill, Mayor of Watford, Professor Steve Barnett, Chair of the West Hertfordshire Hospitals Trust Board, and Steve Rossouw, Kier Property.